“LADY BABY BLUE” sounds like nothing The Idol Formerly Known as LADYBABY have ever done. The cool midtempo alterna-something owes a lot to its songwriter/composer Oomori Seiko (who has been inside and upside the idol world herself in the last few months). You can practically hear Seiko’s distinctive screech across the melody singing “LADY BABY BLUE”. To be fair, the girls do a great job of vocalizing considering some of the stratospheric highs they are required to reach- I’ve always maintained that Rei and Rie are better singers than they get credit for. Consisting of off-shot from the Rie and Rei, the promotional video tries to give us a peek into the daily lives of Lady babies outside the manufactured images, which is a bit ironic considering the source. In any case, “LADY BABY BLUE” gives us a moment to catch our breathe and appreciate the many sides to LADYBABY. I think it’s a keeper. 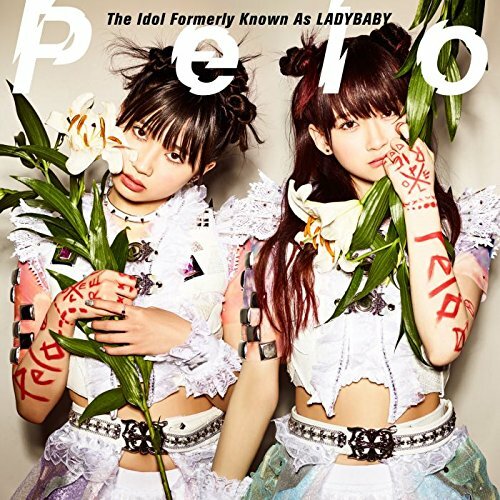 You can find “LADY BABY BLUE” on The Idol Formerly Known as LADYBABY’s “Pelo”. Buy The Idol Formerly Known as LADYBABY’s “Pelo“!